Two nine-year-old girls and a man have died after contracting swine flu, health officials have confirmed. One of the girls was named by relatives as Asmaa Hussain, of Dewsbury in West Yorkshire, who died last Thursday. The man, who died on Sunday, was named by neighbours, also in Dewsbury, as Abdullah Patel, who taught at the town's Institute for Islamic Education. The other girl, from south London, also died over the weekend. All three had serious underlying health problems. An uncle of Asmaa Hussain said his niece had been an epilepsy sufferer since birth and had died shortly after a seizure on Thursday night. After her death doctors told the family that tests showed she had contracted swine flu. Heath officials said there was no known connection between her and Mr Patel. Mr Patel, who is believed to be in his 40s, taught at Dewsbury's Institute for Islamic Education, which has been closed since 30 June after several students became infected with swine flu. A spokeswoman for NHS Kirklees said of both the Dewsbury cases: "At this stage we have no confirmation whether or not swine flu was the cause of death." The deaths take the number of UK swine flu sufferers who have died to seven. Last week a 19-year-old man from south London, also with underlying health problems, died after contracting the virus. The other three people to die from swine flu in the UK also had underlying health issues. Jacqui Fleming, 38, of Glasgow, was the first after contracting the virus last month, two weeks after her son, Jack, was born 11 weeks prematurely. Jack died later but had not contracted the virus. The second victim was a 73-year-old man from the Inverclyde area of Scotland. 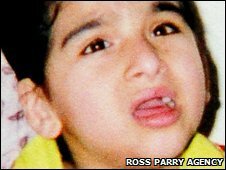 The youngest UK victim was six-year-old Sameerah Ahmad. She was born with a rare life-threatening disease and died at Birmingham's Children's Hospital after contracting swine flu, although it is unclear if it contributed to her death. An NHS London spokesman said: "Once again we wish to take this opportunity to remind the public that for most people this is a minor illness and that they should start to feel better after a few days without needing to go to their GP or A&E. Earlier experts warned that the number of swine flu cases in the UK could rise to 100,000 a day by the end of next month.